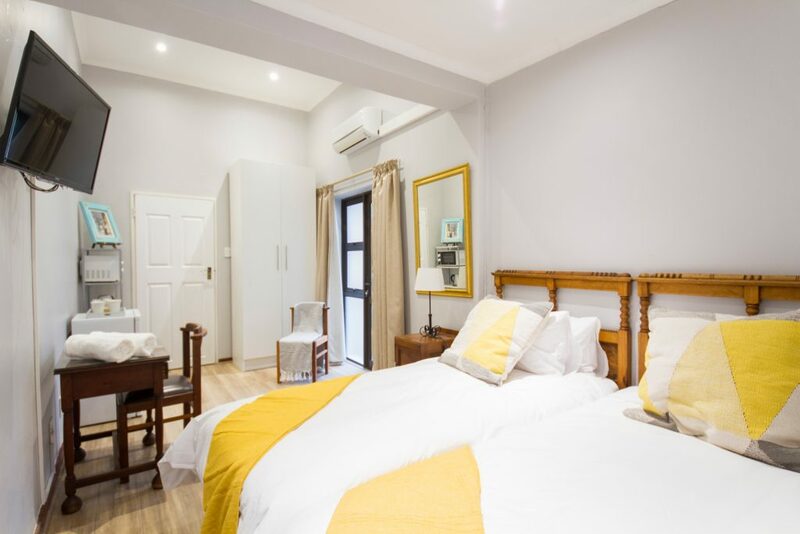 This homely and welcoming guest house offers 3 self-contained suites with outside entrances. 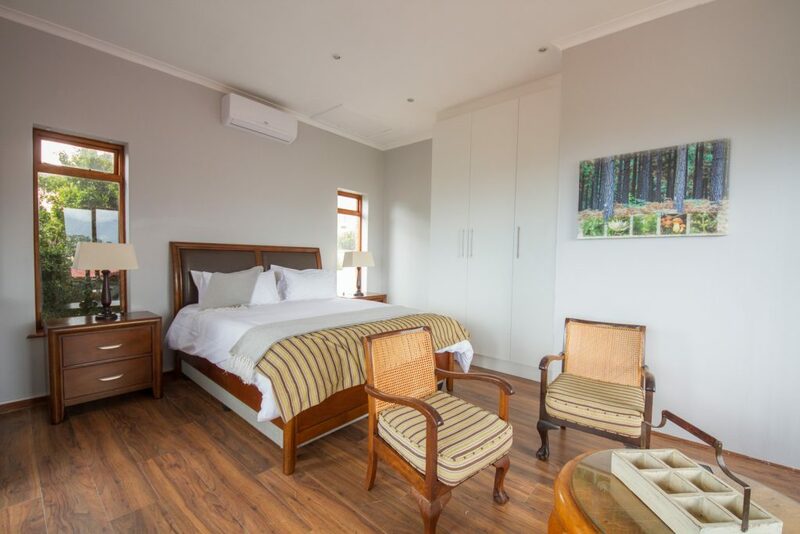 It has stunning views and is situated within walking distance to a shopping centre and petrol station (Spar, florist, pharmacy). The Waterstone shopping centre is approximately 1.4 km away, which also has a Virgin Active Gym. The Guest House is also perfect for those attending conferences at the Lord Charles Hotel and requiring accommodation in the surrounds. 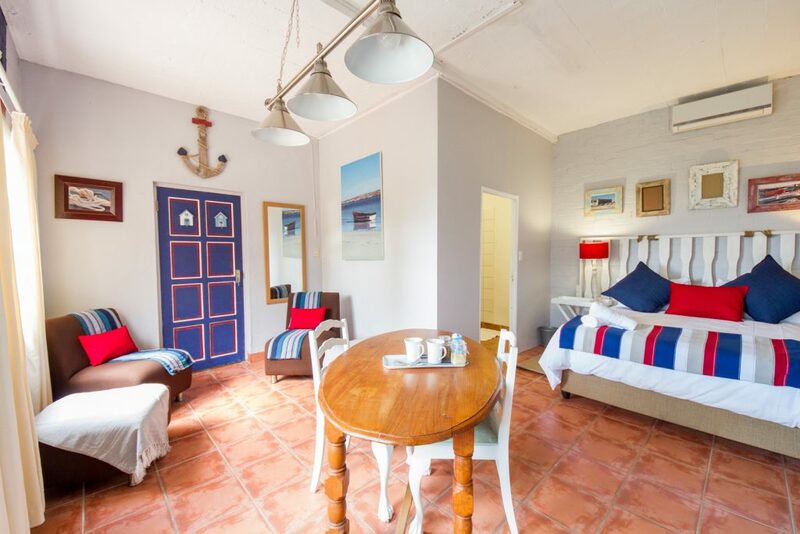 The boat suite is a large double suite decorated with a nautical style and has access onto a patio, pool and braai area. It also has lovely views of the Hottentots Holland mountains. 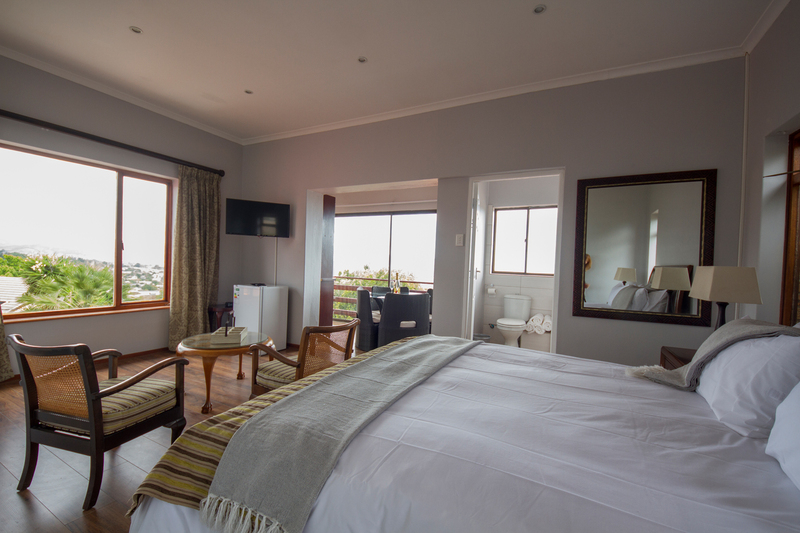 This suite is situated upstairs and is our pride and joy with stunning views over False Bay and the Hottentots Holland mountain range. This a tranquil suite is ideal to relax in after a long day of meetings. It is tastefully decorated in greys with a hint of mustard. It has twin beds and is the smallest room of the 3. Note: The owners live on the property and there are two very friendly “guard Labrador” dogs that are always happy to welcome you. There is also a photography and dance studio on the property which is set away from the Guest House.